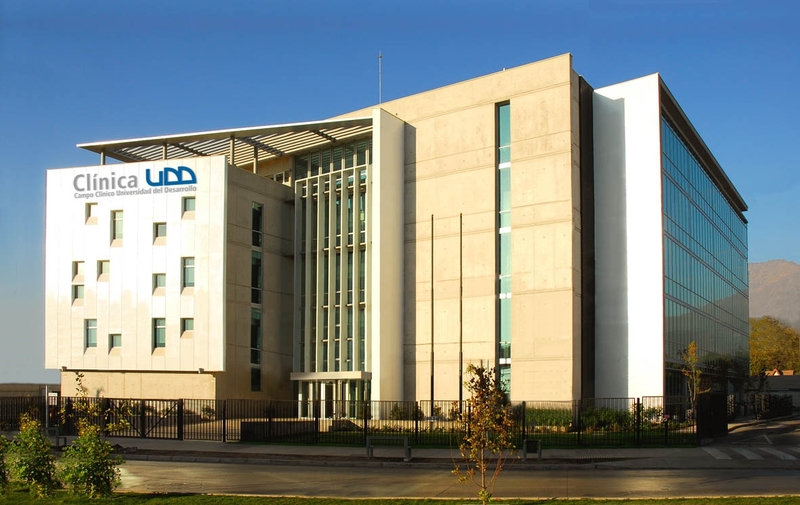 Since its inauguration on May 6th 2009, this facility has been the main clinical campus of the Faculty of Dentistry at Clínica Alemana – Universidad del Desarrollo. 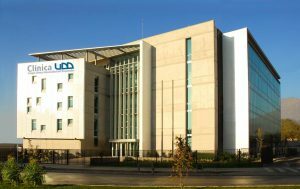 The UDD Clinic, a 14 thousand square meter, five floor building, has contributed to mitigate the severe deficit in odontological care of La Florida County, a 400,000 suburban area. It has also benefited the neighboring Counties of La Granja, San Ramon and La Cisterna. This new campus includes 83 odontological chairs, three operating rooms, five imaging rooms, a cast laboratory, a sterilization room, six class rooms, two auditoriums, one casino and cafeteria, a library, various study rooms, and a computer laboratory. It also holds facilities for the Faculties of Physical Therapy and Phonoaudiology, which comprise a gymnasium and audiometric labs. Located in a highly populated urban area, our future dentists care for a significant number of patients, contributing directly to this community´s oral health and prevention.